The HOUSE Team offers a USDA Escrow Holdback mortgage program that helps a USDA buyer address/fix repairs that a USDA appraiser is requiring. Using this program, a USDA buyer may finance the cost of repairs into their mortgage AND complete the repairs after they close on their new USDA mortgage. Any/all repairs listed by the USDA appraiser and/or underwriter as a violation of USDA’s minimum property standards. One of the most common repairs is the replacement of a broken air conditioner. 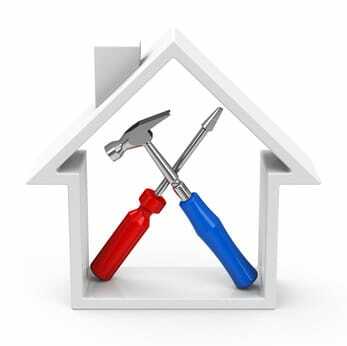 The repairs must be listed on the appraisal as a required repair. The HOUSE Team’s USDA escrow holdback program allows an Arizona USDA buyer to finance up to $2,000 toward appraiser required repairs. The $2,000 max includes the 10% contingency meaning the total amount financed cannot exceed $2,000 including bot the cost of the repairs and the 10% required contingency fund. A borrower must utilize a USDA loan when using the USDA Escrow Holdback Program. A borrower does not have to put anything down when using an our USDA Escrow Holdback Program. This program allows up to 30 days for the USDA required repairs to be completed. This time is measured from the date the loan closes on both refinances and purchases. The HOUSE Team’s USDA Escrow Holdback program allows for a maximum of up to 2 contractors. The contractor(s) cannot be the borrower, a family member, a realtor/loan officer involved in the transaction or the borrower’s employer.